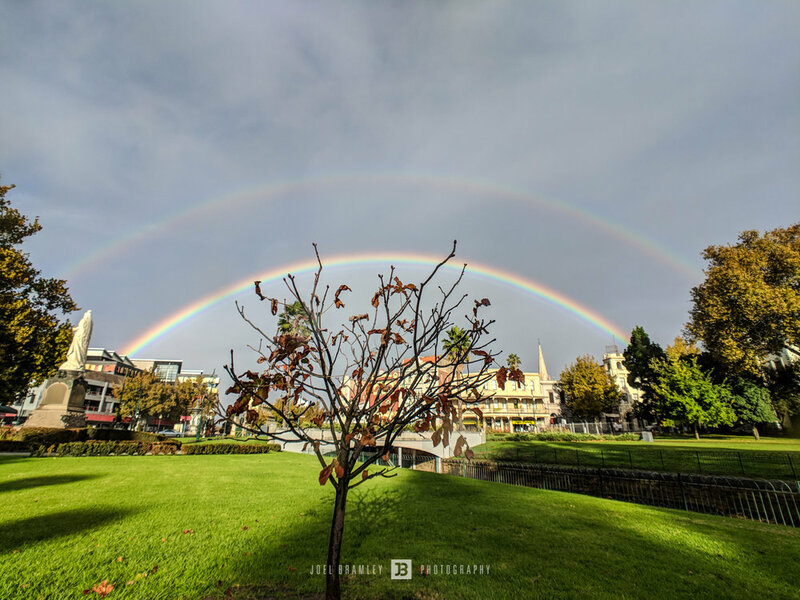 Friday was a morning filled with shooting one of the longest lasting double rainbows I've ever seen and it happened just before I started work (got to work a little late had some photography to do!). 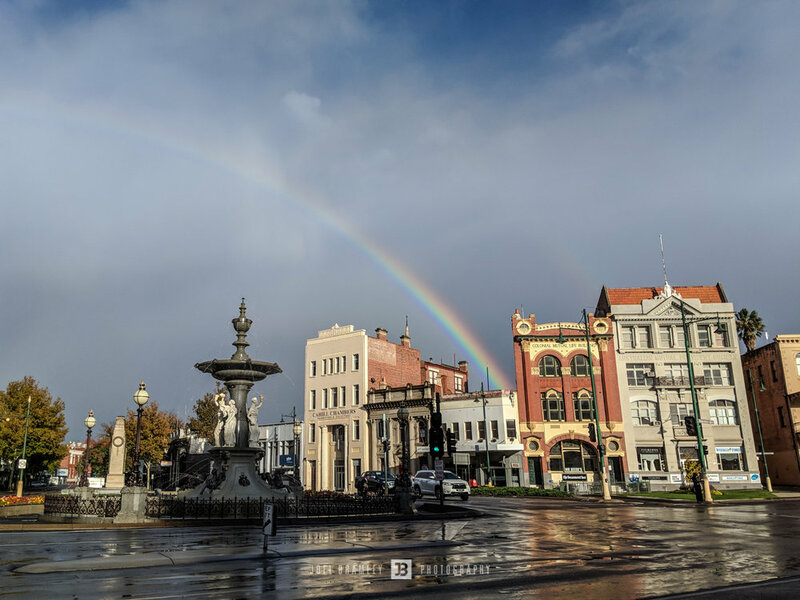 I thought I'd share my morning of getting rainbow photos in Bendigo leading up to the image I got just below. First photo in the gallery below I captured from the bus on the way to work, only a partial rainbow at this stage but minutes later it had grown and my stop had arrived. I quickly headed towards some areas I know have great reflections and/or buildings to include and started snapping away. 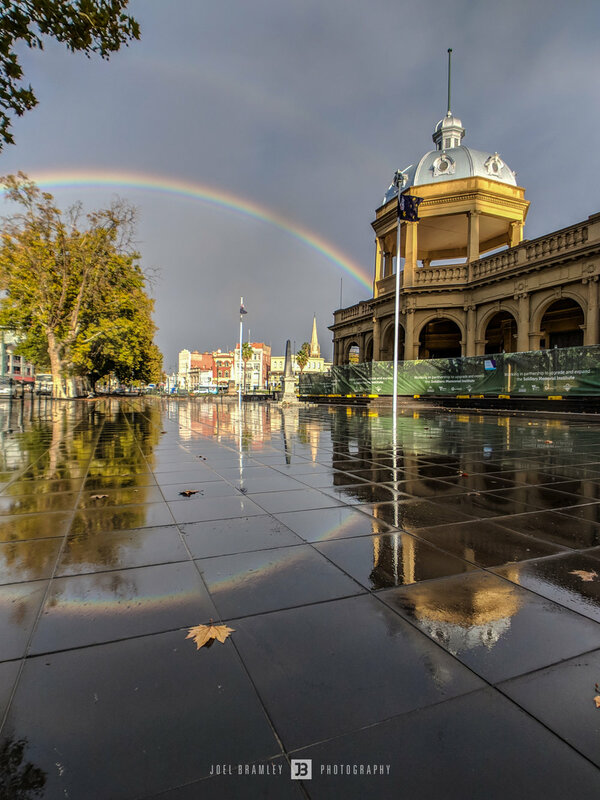 The rain was light and being blown towards me which causes issues with water droplets on lenses that can ruin photos, this is why my Olympus camera with wide angle lens stayed in my bag as the front element is large, bulges out and it loves to get water droplets on it. 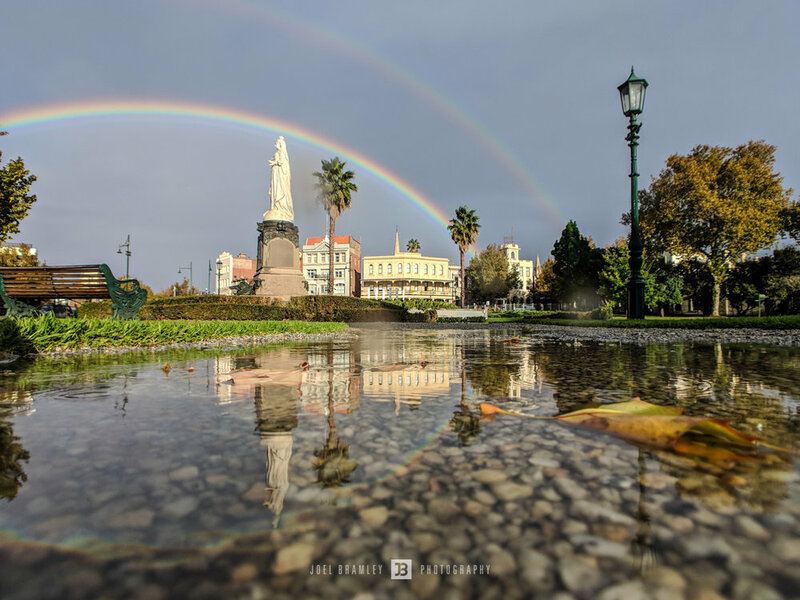 I decided that I'd attach my new Moment Wide Angle Lens onto the phone case in order to fit the entire rainbow in each photo I was taking, without this lens the phones standards view is just to narrow. I only captured a couple of photos on my camera, the rest on the phone with a much smaller surface area to catch the rain.